A buyer did not receive the book. What should I do? The shipping fees are not correct. How can I adjust them? I do not understand the statement and payment emails. Where can I get an explanation? My computer crashed. How can I get back my inventory? If you have checked that you are on AbeBooks.com and that your password and email address are correct you should be able to sign in. If you are still experiencing difficulties please contact us. It is important that you can access your account to ensure that orders are processed and that your inventory is up-to-date. If you previously had your books listed in HomeBase and your computer has crashed, you can recover your information. Simply download and install HomeBase, if you no longer have it, and then download your online listings by following the instructions provided below. Please be aware that only the online listings will be downloaded, any internal information you had had (such as sold books, customer data & invoices) will be lost as this was only stored in your computer. There is a two-part process for copying your book inventory from the AbeBooks system to your HomeBase program: Downloading and Importing. Near the top left of your screen pull down the File menu and choose "Import"
ZAP - deletes your existing books and replaces them with the book data from AbeBooks. Merge - adds the books from AbeBooks to the books you already have in HomeBase. Note: HomeBase will process the file and display the number of books transferred. The HomeBase will now list the current number of books for sale contained in your database. The count should include the books imported from the AbeBooks system. On the following links we have provided resolutions to some common technical issues. If your issue is not mentioned or if you are unable to resolve the issue, you can contact us to further assistance. The customer’s card was rejected. What now? Why can I no longer upload files via FTP? I do not understand the statement & payment emails, where can I get an explanation? You can review your monthly commission and processing fees online by clicking the [Review Fees] link at the bottom of the email statement. The fees statement displayed shows all the fees for the previous month. For example: You select June. The fees displayed are for the period May 1 - 31. At this time you cannot review commission or processing fees for the current month. The shipping fees are not correct, how can I adjust them? Updating your shipping matrix can improve your sales as buyers often compare shipping rates and speeds in the search results. Entering accurate shipping times can also reduce buyer inquiries and returns. You can easily update your shipping matrix to reflect your shipping costs and speeds, or to use as a marketing tool by offering low rates to buyers. 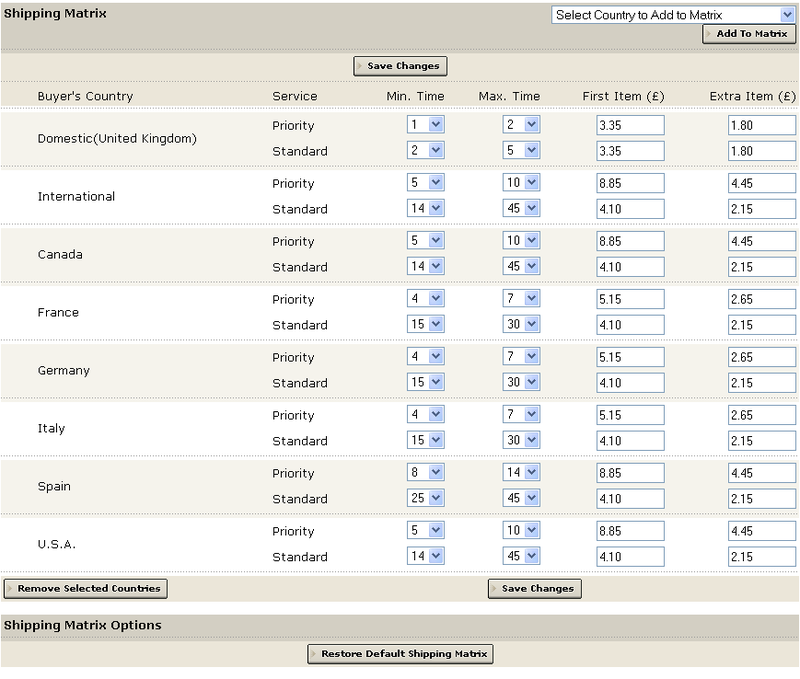 You can specify standard and priority shipping for all international countries. The average shipping weight is based upon a 2.2 lb (1 kg) package for the first item and 1.1 lb (0.5 kg) for each additional item. 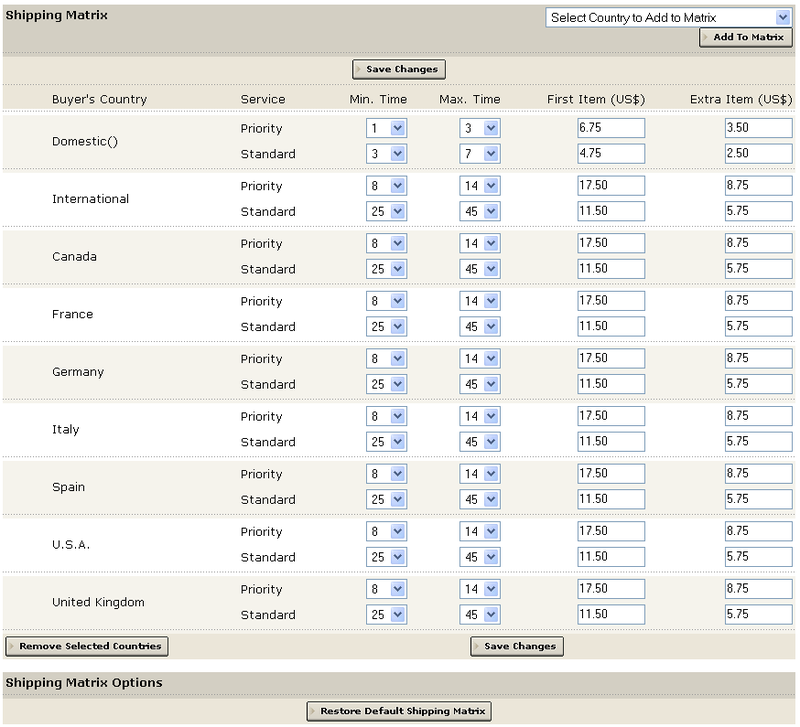 Buyers see your shipping rates and speeds in the search results and shopping basket. A buyer did not receive the book, what should I do? On occasion, a book that you shipped promptly may be lost in the post. In which case you can refund the buyer from your AbeBooks account (if we charged the buyer). You will then automatically be refunded the commissions and processing fees on this order. 5. Select Appropriate Reason and Comments (if the book was lost in the post select reason "item did not arrive"
An email is sent to both you and the buyer as notification of an initiated return. View our Quick Returns and Refunds Guide. As part of AbeBooks’ ongoing effort to exceed industry standards for protecting the security. Does the change to FTPS concern me? You have your own format for book data and upload files via your AbeBooks members menu. You manage your books via the Online Inventory Management function. If one of the above applies to you then you do not need to take any action. You can send your book data and images to AbeBooks as before. You use HomeBase 2.3. We now have an upgraded version of HomeBase 2.3 online. To make sure that you are using the latest version (2.3.30 or 2.3.31) open the software and click "Help" and then "About HomeBase". If you do not have the latest version, please click here to download and install the software. You can find out more information here. You upload your book data and images using an FTP program (E.g. FileZilla). You need to obtain a security upgrade from the software provider. The required settings for most FTP programs can be found here. You upload your book data and images using a third-party upload service. In order to use FTPS the provider must change their settings. We are already working with the most commonly used service providers to help them implement the necessary changes. 3. Following: "What file would you like to send us?" Click the [Browse] button - this will allow you to search your computer and select the file you would like to upload. Once the file has been uploaded you will see the message “Your file was successfully uploaded to AbeBooks!” If at this point the browser times-out or you are redirected to the Homepage ensure that you do not have a firewall blocking the file. If you have any further questions please contact AbeBooks.